Back in September last year S&R members are waiting for SALE treats from the biggest Membership Shopping store in the country. But, the company had nothing to offer. 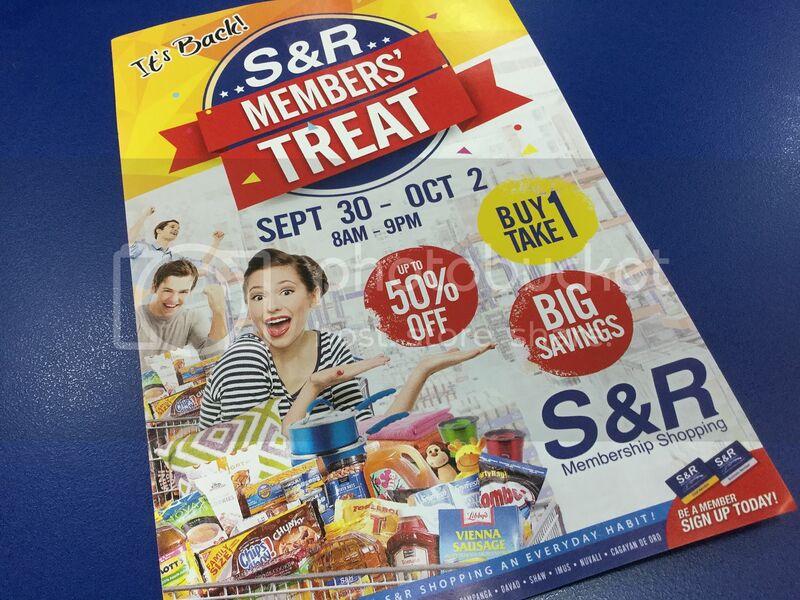 So, on September 30 expect the nationwide grand sale as S&R Members’ Treat is back! Every smart shopper knows about the Buy One Take One and Up To 50% Off that S&R offers during their Members’ Treat. Big savings will happen in this sale event on many different local and imported products/items. So this is a sale promo event for members not to be missed. By the way, it’s a 3 Day Sale that will start on Sept. 30 until Oct. 2, 2016 from 8am to 9pm.